India's leading stem cell bank LifeCell and a public benefit organisation and unit of LESDEP Foundation Virtue Baby has organised Mother’s Day celebration to teach soon-to-be-mother’s about some ancients facts of Garbha Sanskar. With an aim to inspire and educate would be and soon-to-be mother’s, India's leading stem cell bank LifeCell and a public benefit organization and unit of LESDEP Foundation Virtue Baby has organised Mother’s Day celebration in New Delhi. The purpose of the event is to educate would-be and soon-to-be mothers about Garbha Sanskar, a way of teaching good things to the unborn baby in the womb during pregnancy. The event was attended by gleaming soon-to-be parents, held at the Indian International Center, to mark Mother’s Day. Lifecell along with Virtue baby hosted a seminar with inspiration speaker Sister Shivani. The event was attended by Delhi’s celebrated gynecologists, pediatricians and psychologists, imparting their precious knowledge on the child birth. 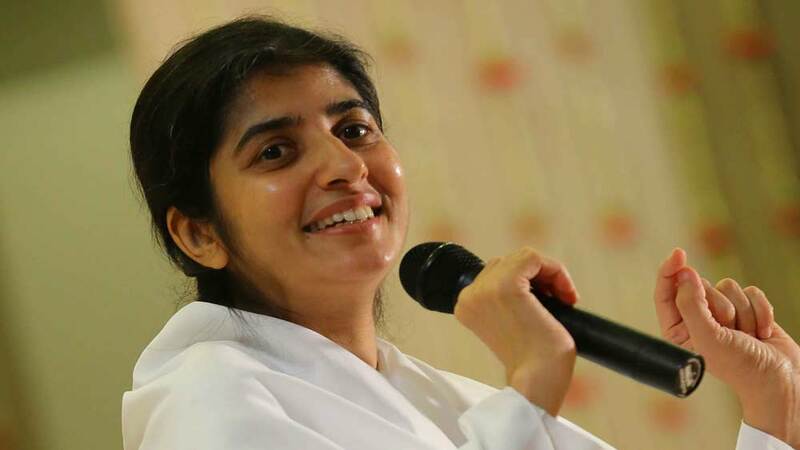 Adding the cosmic presence to the atmosphere was international inspirational speaker Brahmakumari Sister Shivani, who took a meditation session and gave information on how one can build up the child’s personality while the soul is still in the womb. Reviving the good old technique of Garbh Sanskara, the team lead by Dr. Nitika Sobti indulged the pregnant women into a season that taught prenatal development, fetal psychology and giving birth to a happy, healthy and virtuous baby. The seminar, which was started with a brief introduction on the power of stem cells by Lifecell followed by a session on how a mother and child’s psychology are connected by Dr Nidhi Khera. Both Dr Khera and Sobti elaborated on prenatal development and how it works, while Sister Shivani further talked about how one can teach the baby about good virtues and habit, while the little one is developing in the womb. Correctly mentioning the mythological facts about Abhimanyu’s learning about the ‘Chakravyuh’ trick or Zakir Hussain became an exceptional table maestro, how a child can learn thing while growing in the womb. It was a well-informed session, which was not only one-of-its-kind, but an amalgamation of science and meditation. With over an experience of 11 years, LifeCell stem cell bank of India has opened its offices in all the major cities across India. Headquartered in Chennai, Lifecell does menstrual stem cell banking, R&D and point-of-care stem cell therapy for orthopedic and vascular specialties. About Us: Established in 2010 Mujosh is Cutting edge fashion eyewear..
About Us: Noodle Panda is India’s first premium Noodle Bar to..
About Us: VIVAFIT concept is to provide health and well-being in a..
Ayurveda- From Tradition to Business..
Business Related Solutions for Startups in Chandig..
Air Purifier as a Promising Market.. Transforming the Education Sector Through IT..
Data Shines Light On Employ Labor..
7 Ways to Achieve World class Supply Chain.. Cool & Healthy is the New In.. Escalation of Refurbished Smartphones Market..
Curing Health With Cellular Therapy..
Dip in Indian pharma exports by 2.2%..
What Floating Restaurant Biz Owners Must Know..
What it Takes to Own a Bakery.. Tips to Begin an Education Startup..
Delivering an Authentic & Unique Experience.. Growing With Time Via Franchising.. Grabbing the Franchise Route Successfully..
A Salon Giving the Perfect Looks.. Build A Strong Online Ad Strategy..
EuroKids: Shaping up New-Age Education..
Strapping The Hook Of Success.. Insights on Sales Consulting Training Biz..
Functional Food Trends for 2018..
Best Boarding Schools in India.. Feeling Good is the New Looking Good..
Be a Part of Organic Food Business By Investing in..